For a larger project of mine i needed to find a way to rotate cavas elements on mousedrag. So here’s my attempt to create this user interface functionality. First I divided the script into logical steps to simplify the problem. create a update function for the canvas. The key for this functionality is that the starting angle of the drag always differs. This causes the canvas drawing to jump to unwanted angles if the script does not compensate for this. 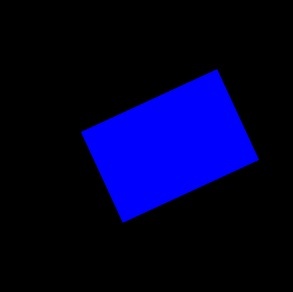 I have not tested the script with other shapes than rectangles and squares, but the script should work fine as long as the canvas elements have ‘bounding box’ with a width and height. Of course this example is a starting point and the interface could use some custom cursors or icons. I read the second part with a lot of fun, this section fully prepares developers for ECMAScript 5 and HTLM 5. I learned a lot of new stuff and browser specific details. Possible pitfalls implementing new standards are clearly described. Some of the chapters I really liked were: Handling Events (17), Scripted Media and Graphics ( 21 ) and HTML5 API’s (22). The reference is very handy, I already have used it a lot of times. It is nice to have good reference, it’s a fast, reliable and up-to-date way to look things up once familliair with the reference layout. Most times faster than a google request. With the confidence of getting clear and concise code examples.